The Panthers have parted company with head coach Anthony Griffin just four weeks out from the NRL Finals. 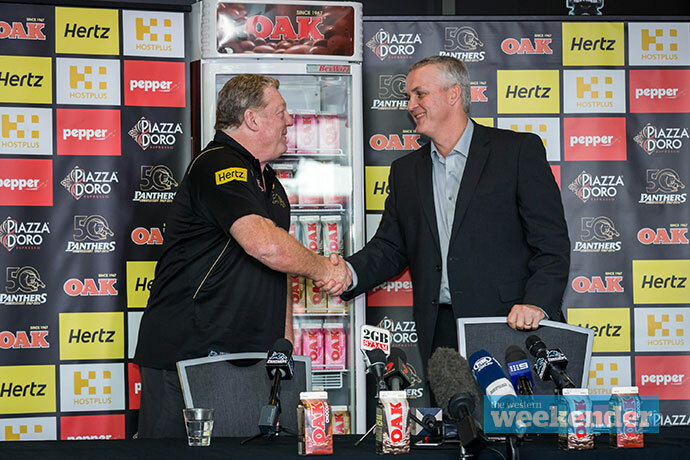 In an extraordinary move, it’s understood ongoing issues came to a head today when a meeting was held with Griffin and Panthers General Manager, Phil Gould. The decision to part ways is effective immediately and comes just 24 hours after Penrith’s come-from-behind win over Canberra. 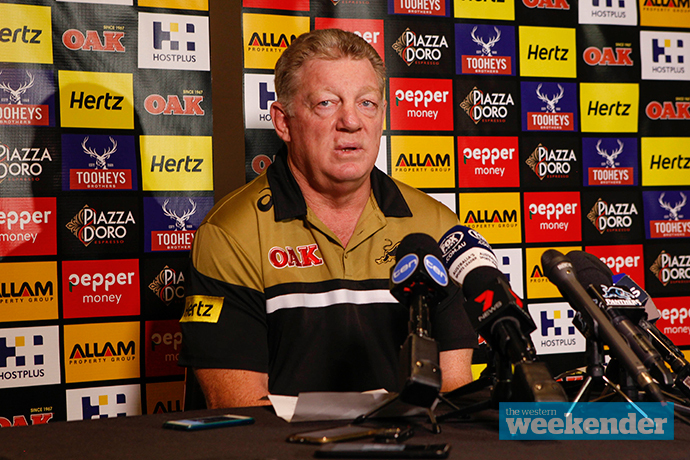 The Panthers say it is a mutual decision but there is no doubt senior officials at the club wanted Griffin out. Griffin would have also received a hefty payout. Panthers CEO Brian Fletcher confirmed Griffin’s departure this afternoon. 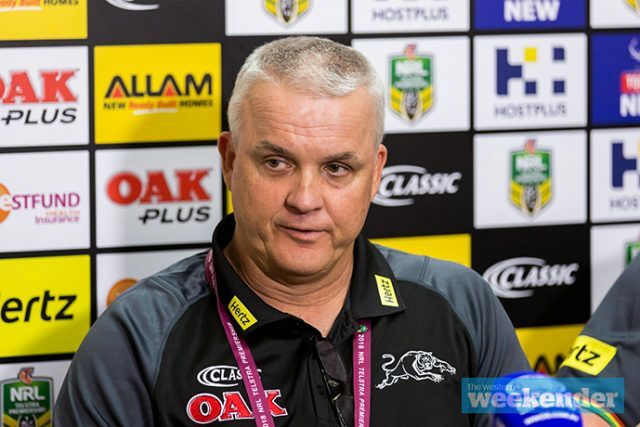 “There has been much speculation and rumours about the club and head coach Anthony Griffin over the last few weeks,” said Panthers CEO Brian Fletcher. It’s been confirmed that Gould will hold a press conference at 8am tomorrow. He is also scheduled to appear on Channel Nine’s ‘100% Footy’ later tonight. Griffin was under contract for the 2019 and 2020 NRL seasons but there has been speculation about his future since before this season kicked off. At this stage there’s been no word on who will replace Griffin for the rest of the season but assistant coach Cameron Ciraldo would be the most likely candidate. Ciraldo would also head the list of candidates for the job in 2019. As a @PenrithPanthers supporter my thoughts are with Anthony Griffin and his wife Helen and the family thoroughly decent people and the club is a better place for having had them around! The Weekender sought comment from Gould earlier today. During a phone conversation just before 2pm, he denied the story put to him about Griffin’s pending departure. 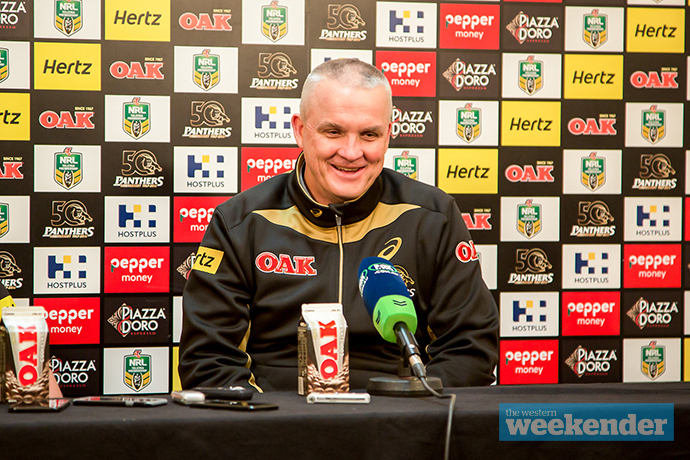 Griffin joined the Panthers in 2016, replacing Ivan Cleary. He had immediate success, taking the side to the 2016 and 2017 Finals, and is on the verge of guiding Penrith to a top four finish in 2018. Incredibly, this is not the first time Griffin has had a contract terminated after reaching the Finals. At the end of 2014, he was forced to make way for Wayne Bennett’s return despite guiding the Brisbane Broncos to a top eight finish. Panthers legend Mark Geyer said he was shocked by today’s development. “I am gobsmacked, I must confess,” he told Triple M.